U.K Chancellor of the Exchequer Alistair Darling has bailed out banks and run up massive deficits to combat the crisis. Can he restore growth and stability — and save Labour’s electoral prospects? Alistair Darling could be forgiven for complacency when he took over as Chancellor of the Exchequer from Gordon Brown in June 2007. The U.K. economy was in the midst of a record 14th year of expansion and growing at a robust 3 percent pace. The government deficit was modest, and the national debt stood at just under 44 percent of GDP, well below the levels of France, Germany, Japan and the U.S. The City of London was booming under the light-touch regulatory approach of the Financial Services Authority, prompting thenU.S. Treasury secretary Henry Paulson Jr. to consider emulating the British model to shore up New Yorks competitive position. Barely six weeks later the subprime mortgage crisis hit and turned Darlings world upside down. In September 2007 depositors staged an old-fashioned run on mortgage lender Northern Rock  the first such run since the Victorian era  after its wholesale funding ran dry, catching the authorities off guard and forcing Darling to nationalize the bank. One year later the global liquidity squeeze that followed the collapse of Lehman Brothers Holdings pushed two of Britains biggest banks, Royal Bank of Scotland Group and Lloyds Banking Group, close to the brink, prompting the Treasury to inject £37 billion ($61 billion) of capital, effectively nationalizing them, and to guarantee some £250 billion of loans issued by U.K. banks. Britains vaunted regulatory system, it seemed, was no match for the biggest economic and financial crisis since the Great Depression. The British economy, heavily dependent on the financial sector, has been hit even harder by the crisis than the American economy, where the troubles actually began. Output has fallen for six consecutive quarters, dropping by a cumulative 6.0 percent, making this the worst recession since the deep downturn of 197980. The deteriorating economy, in turn, has left a gaping hole in the government budget. The Treasury forecasts that the deficit, based on Europes Maastricht definition, will hit 12.6 percent of GDP for the current fiscal year, ending March 31, 2010, exceeding the U.S. deficit of 10.0 percent in the fiscal year ended September 30 and up from a deficit of just 2.8 percent two years earlier.To begin plugging the gap, Darling is hiking the top rate of income tax to 50 percent from 40 percent, reversing a tax-cutting trend that dates back to Margaret Thatcher. Even the opposition Conservative Party, which polls show is poised to sweep Browns Labour government from power in next years general election, concedes that taxes will need to remain high for some time to come. "The situation is every bit as grim as it appears, and I suspect that most people probably havent got a full understanding of how difficult it is," says David Shairp, global market strategist at J.P. Morgan Asset Management in London. "Just to put it in context, the U.K.s fiscal deficit is larger now relative to GDP than it was when the Labour government went to the International Monetary Fund [for a loan] in 1976." It will be a daunting challenge for Darling and Brown to try to turn around Labours electoral fortunes. Still, the chancellors cool pragmatism throughout the crisis has made him a key player in global efforts to revive growth and reform financial regulation. Like U.S. Treasury Secretary Timothy Geithner and other G-7 colleagues, Darling, 56, maintains that massive public spending is needed to get the economy back on track. Although deficit reduction is critical in the medium term, he says, its far too early to consider tightening. When his opposition counterpart, George Osborne, promised last month to cut spending and freeze the pay of most government employees if the Conservatives won the election, Darling lambasted the austerity proposals, saying they risked "crashing the economy." The Scottish barrister-turned-politician has been equally active on regulatory reform. The governments decision, agreed by Brown, Darling and a handful of key aides in late September and early of October last year, to inject tens of billions of pounds of capital into eight of the countrys banks set a model that the U.S. and continental European governments would follow to shore up their banking systems. Now, much like Geithner in the U.S., he is proposing a range of measures designed to strengthen the existing regulatory framework rather than radically restructure the banking system. 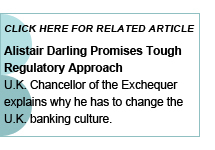 In a speech to Parliament later this month, Darling is expected to set out legislative proposals to give the FSA greater responsibility for financial stability, formally establish a Council for Financial Stability to monitor systemic risk and improve coordination among the FSA, the Treasury and the Bank of England, and require banks to draw up so-called living wills detailing how they could be shut down in an orderly fashion in the event of a crisis. The proposals amount to a major departure from the light-touch, market-knows-best approach that the U.K. has followed since the late 1990s. "No one could say that the regulatory system over the past ten or 15 years has been sufficient," Darling tells Institutional Investor in an interview, "because if it saw what was happening, it didnt tell  and if it didnt see what was happening, it wasnt working. This is something we need to fix." Darling may not have much time to carry out his plans. The Labour Party is looking tired after 12 years in power, and Brown has seen his popularity plunge since taking over as prime minister from Tony Blair in June 2007. The resurgent Conservative Party, led by charismatic Etonian and Oxford University graduate David Cameron, is heavily favored to win the election, which must be held by June 3. Support for the Conservatives stood at 45 percent, 19 points ahead of Labour, according to an opinion poll by London-based ICM Research last month. Not surprisingly for a country where financial services hold such sway over the economy, the Conservatives have made regulatory reform a big plank of their campaign. In July, Osborne proposed abolishing the FSA and making the Bank of England responsible for banking supervision and overall financial stability. Such a move would overturn one of Browns signature moves. Days after Labour took office in 1997, Brown gave the central bank independence to set monetary policy and stripped it of supervisory duties, handing those to a newly created FSA. The Conservatives say the current regime is flawed because it focuses regulatory attention on individual banks and ignores risks to the financial system. "Even if the FSA had been carrying out microprudential assessment superbly well, [that] would not have been sufficient because there was not  and there still is not  any entity with clear responsibility to knit together the micro and the macro views," says James Sassoon, a former vice chairman of investment banking at UBS who advises Osborne and drafted his regulatory reform proposal. The plan calls for creating a new Financial Regulation Division at the Bank of England to oversee banks, building societies (mortgage banks) and other financial institutions such as insurance companies. It also would establish a Financial Policy Committee, equivalent to the central banks rate-setting Monetary Policy Committee, to monitor systemic risk alongside the MPC. The proposal also calls for the creation of an independent Consumer Protection Agency. Some observers believe it would be misguided to hand financial regulation to the central bank. 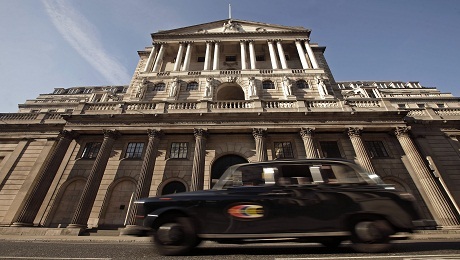 "The Conservative proposal to reorganize the architecture has not been presented in the context of any particularly logical analysis about the relationship between monetary and supervisory policy, and it doesnt address the implications of the role played by the Bank of the England itself in the crisis, which many believe kept interest rates low for too long  having not looked closely at credit at all," says David Green, an adviser at the U.K. Financial Reporting Council, an independent corporate governance body, who worked previously as head of international policy at the FSA and before that as a senior banking supervisor at the Bank of England. Green and others also worry that a new regulatory role could pose a conflict with the central banks monetary policy if, say, it saw a need to cut interest rates to support financial institutions. "That is a risk  indeed, that is one of the principal reasons that monetary policy and financial regulation were split apart in the first place," says John McFall, a member of Parliament and chairman of the House of Commons Treasury Committee, in an e-mail response to questions. The governor of the Bank of England, Mervyn King, is clearly aware of that potential risk. That may explain why he has put forward the most radical reform proposal so far. In a speech last month, he argued that the best way to rein in financial risk would be to break up the countrys largest banks, splitting their retail banking operations and insured deposit bases from their riskier investment banking and trading activities. "It is important that banks in receipt of public support are not encouraged to earn their way out of that support by resuming the very activities that got them into trouble in the first place," he said. Like most policymakers around the world, however, Darling dismisses the idea of returning to the world of Glass-Steagall, the Depression-era law that separated commercial banking and investment banking in the U.S. The challenges posed by the banking industry are "rather more complex" than Kings characterization of them, he says. Whats needed, he contends, is much more rigorous supervision and higher capital requirements. The FSA, the one-time poster boy for light-touch regulation, is now leading the charge for tougher regulatory standards. Adair Turner, the authoritys chairman, helped shape the global regulatory debate with an influential report in March that called for raising bank capital requirements, especially for trading activities; reining in bankers pay to curb incentives for risk-taking; establishing a systemic risk regulator; and increasing cross-border cooperation in regulating global banks. 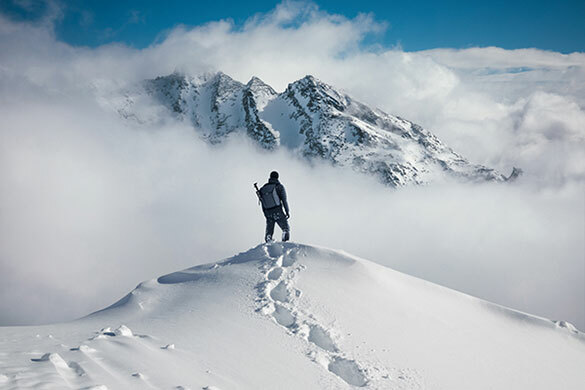 The FSA has begun implementing some of its proposals in recent weeks, issuing rules barring banks from guaranteeing bonuses for more than one year and requiring at least two thirds of bonus amounts to be paid over a period of three years. The authority is also setting new liquidity requirements that will require banks to hold more cash and government bonds  assets that could be sold quickly in a crisis to raise cash. 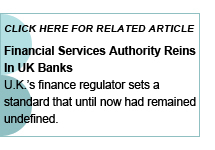 The FSA has made clear that the rules will apply to subsidiaries and branches of overseas firms operating in the U.K.
Getting the financial system back to health is vital to restoring the broader economy, given the importance of Britains banking sector. The countrys gross domestic product contracted by 0.4 percent in the third quarter, compared with the second quarter, according to a preliminary estimate from the Office of National Statistics. Although that was an improvement over the severe 2.4 percent drop in first-quarter GDP, the U.K. is still mired in recession even as France, Germany and the U.S. have returned to growth. "The problem is that we became too reliant on the revenue produced by the financial sector and the housing market  and those were very credit-frothy areas of the economy," says Karen Ward, U.K. economist for HSBC in London. "So the government employed the extra nurses, the extra teaching assistants, and spent the money generated by economic sectors where the growth only ever really looked temporary." The sheer cost of meeting those public spending obligations is rapidly mounting, adding to the Labour governments woes. The government is projected to borrow a net £178 billion, or 12.6 percent of GDP, this fiscal year. Welfare costs have surged as the unemployment rate has risen to 7.9 percent in August, up from 5.3 percent in August 2007. The Bank of England is also using every means at its disposal to try to spark a turnaround. The bank has kept its key short-term lending rate at a record low of 0.5 percent for the past eight months in a bid to spur activity. And like the Federal Reserve Board, the bank has engaged in quantitative easing to get credit flowing again. The central bank has purchased £164.4 billion of U.K. government bonds, fully 95 percent of the £175 billion it has committed to buy, according to HSBCs Ward. That represents more than three quarters of the governments projected bond sales of £210 billion this fiscal year. Some analysts believe the poor third-quarter GDP report may prompt the bank to expand its bond purchases. To close the yawning deficit, Darling earlier this year announced that the government would impose a tax rate of 50 percent on individual incomes of more than £150,000 a year, beginning next April. 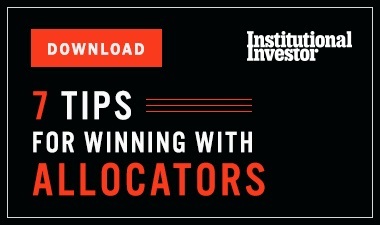 The move has raised the hackles of the City of Londons financiers and entrepreneurs and prompted a few to quit the country; Guy Hands, the founder of private equity group Terra Firma Capital Partners, relocated to the Channel Island of Guernsey. Inevitably, the government will have to consider other tax hikes and spending cuts to close the deficit. How and when to do so has become a key issue in the pre-electoral debate between Labour and the Conservatives. Osborne has proposed that a Tory government would slash government administrative costs by one third and freeze the pay of most civil servants in 2011, among other measures. Darling argues that making cuts now merely runs the risk of triggering a fresh downturn. Many economists are inclined to agree. Says David Blanchflower, professor of economics at Dartmouth College in New Hampshire and a member of the Bank of Englands Monetary Policy Committee until May: "When youre in a war  and make no mistake, we are in the most severe recession of our lifetimes  you deal with winning the war first, before you worry about paying back the debt." For Darling the battle to restore the U.K.s economic and financial health is far from over. Are British Gilts a Justifiable Save-Haven?